Google recently announced plans to introduce Enhanced Campaigns to all AdWords users, beginning voluntarily, but becoming compulsory by June 2013. Now, I don’t know about you, but when I see the word ‘enhanced’, I assume that this can only be a good thing. Taking a brief glance at my trusty thesaurus reveals that enhanced can mean ‘improved’, ‘upgraded’, ‘elevated’, and ‘strengthened’ amongst others. Imagine my surprise then, when I actually began to research in detail the changes Google were introducing. The more I read about them, the more I began to think, ‘hang on, this isn’t an enhanced service, more of a reduced one’! 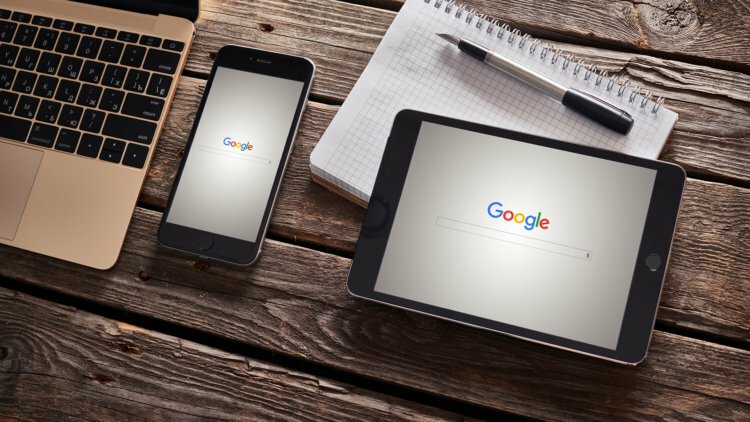 For those of you unfamiliar with the details of Google’s Enhanced Campaigns, the change which has got the PPC community up in arms is the decision to no longer allow separate mobile and tablet campaigns. In the words of Google, we now live in a ‘constantly connected world’, and variations between device use are becoming smaller. Google are so confident in this fact that they have decided that computers and tablets are essentially the same thing and so for the purpose of AdWords, you will not be able to place separate bids for these devices. Reading several other blogs on the topic, it would appear that I am not alone in disagreeing quite strongly with Google on this one. In several of the accounts we work on the difference in CPA between computers and tablets is massive. In some cases the CPA has been twice as high on tablets as it has been on computers, meaning that we have either created separate tablet only campaigns, or in certain cases switched off targeting of tablet users altogether. Anecdotal evidence you may think, but the vast majority of account managers who have blogged about this are saying the same thing, and all that anecdotal evidence soon adds up to become pretty substantial. The situation is pretty similar where mobile campaigns are concerned. Again these will be lumped into the same campaign as computers and tablets, however at least with mobile we will be given the opportunity to adjust the bidding percentage, meaning that if campaigns don’t convert well on mobile they can be reduced down to 0%. Unfortunately, the opposite won’t be possible, so there will be no option of reducing computer and tablet bidding down to O% and running a mobile only campaign. One of the great things about Adwords as it currently stands, is that for account managers such as myself who are really interested in segmenting accounts, the option is there to do so. I can’t help feeling that the new enhanced campaigns are aimed more at small business owners who perhaps don’t have the time, or knowledge to go into in depth account analysis. So, what can we do about it? Well, it isn’t often that Google bends to the will of the people, but last year there was a similar uproar when Google announced plans to change Ad Rotation settings, and after a successful petition, they backed down on their plans. The AdWords community have already begun another petition about Enhanced Campaigns, and if you too feel strongly about this, you can read more and sign the petition here. Don’t get me wrong, Enhanced Campaigns aren’t all bad. I think the option to add sitelinks at the ad group level is a massive improvement, but I’m just disappointed that Google seem to be giving enhanced segmentation in one area, whilst removing it from another. I genuinely hope that Google will see sense and allow at least some level of device targeting. Whatever happens, the next few months are going to be interesting for all involved in PPC. No Comments on Google’s Enhanced Campaigns – Are They Really Enhanced?